Another quick card for the Anni-VERVE-sary challenges over at Splitcoast. This challenge…a CAS design. 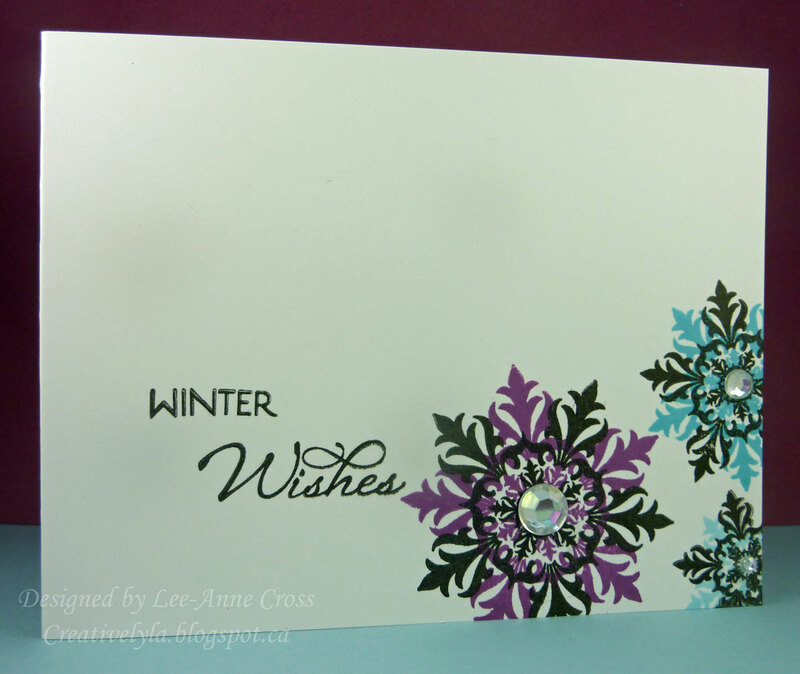 Very simple card…just stamped the three snowflakes in black first, as well as the sentiment. Then I over stamped each snowflake with a different color.